Holly Trace homes for sale are part of a wonderful subdivision in Simpsonville with 180 home sites. This community began development in the late 1980’s and consist of beautiful stand-alone custom built homes with a range of sizes and styles, ranging between 2,000 to 4,500 square feet in living space. 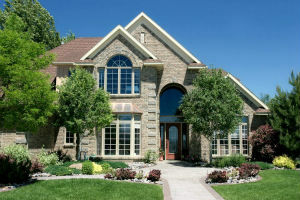 Lot sizes for the homes here are between ¼ of an acre and ½ an acre in size. Interested in learning more about Holly Trace homes? Find out what the amenities of this community are like or browse through some of the Holly Trace listings below. As a resident of a Holly Tree home, you’ll have access a lovely community pool, clubhouse for entertaining, maintained play area for children, and tennis and basketball courts. There is a very active homeowner’s association here that works hard to foster a warm sense of community by hosting an array of events. They are always busy cooking-up something at Holly Trace, such as the Ice Cream Social, Scarecrow Contest, Breakfast with Santa and more! If you’re interested in learning more about different communities in Simpsonville, be sure to check out our other Simpsonville community pages. To help simplify your search, we’ve highlighted useful community information and listings. If you're interested in viewing a Holly Trace home or learning more about what's available on the Simpsonville real estate market, please reach out and contact RE/MAX Moves today. We'd be happy to help answer questions, let you know details about listing information and get you started towards finding your new home!